Apple, after facing a lot of scratch issues with iPhone 4, is now planning for a aluminum rear part for iPhone 5, according to a Chinese website. If this strategy in design of the new iPhone is true, it would revert the design of iPhone back to the previous model, same as in iPod Touch 4G. Using a metal base will supposedly clear the complaints of the phone being heavy and susceptible to damage. If the source of the news is to be believed, the current side mounted antennas of iPhone are also being abandoned for a single point on the rear of the phone, beneath the Apple logo. This would most probably make Wi-Fi and mobile signal easy to penetrate and would do away with the reception issues for which Steve Jobs had said: “You’re holding it wrong”. Apple as always, is not ready to comment on the rumors. 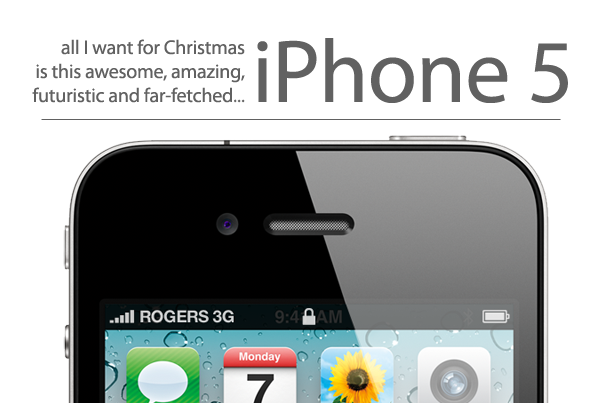 Rumors are also full-on about how the new iPhone 5 is going to be powered. As rumored, iPhone 5 will be powered using Apple iPad 2 Cortex A9-based A5 multi-core processor. Also it may also not come as a surprise that iPhone 5 will most likely be announced at the WWDC in June or July this year. Apple Looking to Hire iPhone Antenna Engineers- We Wonder Why?